From the Superintendent's memo to the School Committee on reducing the proposed school budget by $2.3M. 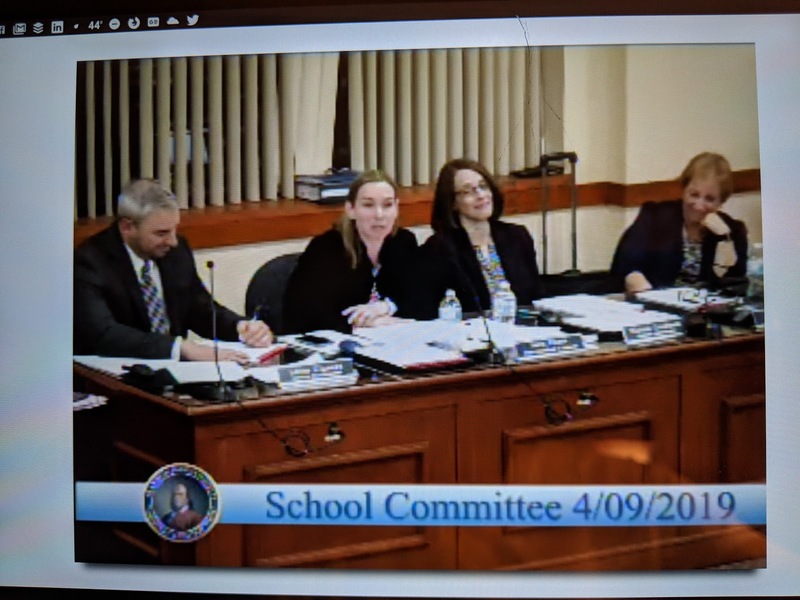 "The School Committee adopted a budget of $66,826,115 on March 12, 2019, which represents a 5.68% increase over FY 19. The FY 2020 fiscal forecast, however, does not support this budget and it is anticipated that the School Committee will need to reduce it. Figures available to us at this time project an increased allocation from the Town amounting to $1,265,000, which represents only a 2% increase over FY 2019. This leaves a shortfall of $2,326,115 based upon the adopted budget. A series of administrative team meetings and budget subcommittee meetings have occurred within the past few weeks to develop a proposed list of budget cuts (included in the packet), which I reluctantly put forward to the School Committee for consideration. In framing this list, the Administrative Team and Budget Subcommittee applied a framework to consider items that would have the least impact on students in the classroom. This was a very difficult task, given the direct relationship of the school department’s budget to a student’s classroom experience. The School Committee will have an opportunity to discuss these items on April 9 and April 23, 2019. 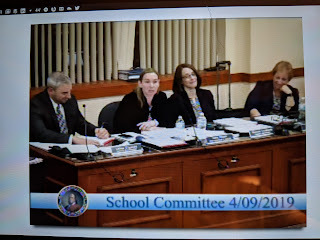 I will ask the School Committee to adopt a revised budget on April 23, 2019 that includes budget reductions in advance of the Thursday, April 25, 2019, Finance Committee meeting, being held in advance of the Town Budget Hearing, scheduled for May 22 and May 23, 2019." The Finance Committee meeting audio of the first part of the budget hearing held March 18. The second part is scheduled for Apr 25 with the School Budget presentation and then the Finance Committee vote to move the budget to the Town Council. Taste of ArtWeek tickets now on sale!